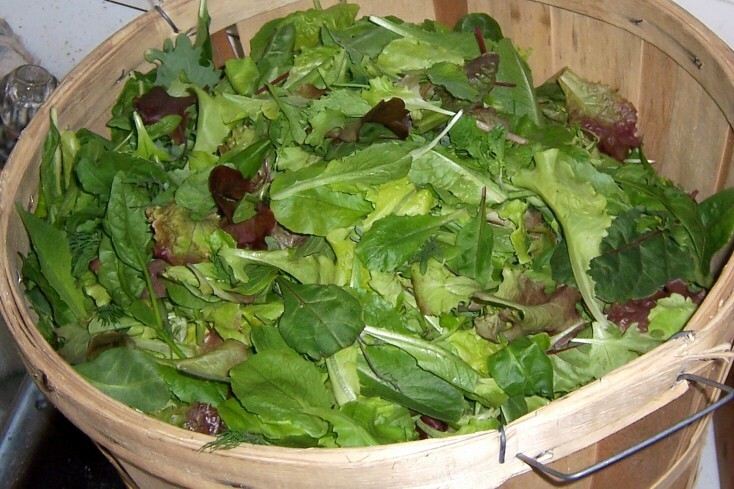 Fresh produce currently at the Frankfort Farmer’s Market: as of March 7, 2009 the following produce are available: gourmet baby lettuce mix, mesclun salad greens, baby arugula, spinach, escarole, white onions, red onions and bok choy. Occasionally beets, white, yellow, orange and purple carrots, kale, Swiss chard, and herbs. You will also find local honey, maple syrup, jams, fruit sauces, fruit butters, dips, fresh eggs, freshly baked artisan bakery goods, gluten free baked goods, naturally cultured foods and much, much more. SPECIAL EVENT MARCH 7 The Frankfort Farmers Market will be having a GF Day from 9 am to 1 pm. Local GF Vendors from the region will have mouthwatering Artisan Bakery items and Food Products available, in addition to GF soap and skincare. The Frankfort Farmer's Market is Indoors and located at 9th & Main Streets along the Waterfront. Frankfort Area Restaurants will be serving appetizing GF menu choices and GF Lunch & Dinners. Menus will be available at the Market. These events are free to the public and they are welcome to come and enjoy or learn a new craft. We have been Indoors at the warm and toasty Recreation Center and just received the go ahead to continue All Year Round. For the past few weeks we have had Market Patrons sign if they would like to see us continue year round. After numerous responses and permission from the City of Frankfort the Press Releases were just sent out. Join us at our Indoor Location at the Recreation Center, 9th & Main Street, downtown Frankfort along the Waterfront. Saturday mornings, hours 9 am to 1 pm. Frankfort is known for its famous King Salmon Fishing, Crystal Clear waters, and sandy beaches. While here visit the Frankfort Lighthouse where you can take a stroll on the peir or the Point Betsie Lighthouse a couple miles north. The Frankfort Farmers Market welcomes you to come and spend the day in Downtown Frankfort where you can stroll down the street from the Market to shop in the many boutiques, stores, and shops, Have a coffee at the Bakery or Dine in one of our many fine restaurants.